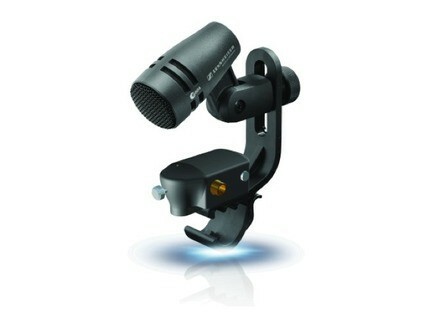 Laser Drum Mic, Other Microphone from Sennheiser. 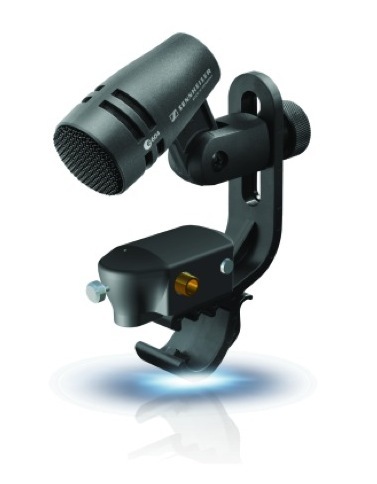 Sennheiser will showcase tomorrow at NAMM 2014 a new microphone concept for drums that uses laser technology. All the details about this new technology are still a secret, and the Laser Drum Microphone that will be unveiled tomorrow at the Sennheiser booth at NAMM is still a prototype, it doesn’t even have a real name. Sennheiser explains that the concept was developed with SF-based Innovation Lab and relies on lasers to record drums, which should significantly improve the sonic result by avoiding bleeding and comb filter effect when multiple microphones are used for drum recording. The Laser Drum Microphone concept employs dynamic processing and laser vibrometers that measure the drum head vibration. Here, the gates are not triggered by acoustic waves but by a laser beam that captures the visual vibration of the drum head. Demos of the Laser Drum Microphone are scheduled Thursday to Saturday at 11:15 am, 1:50 pm and 4:50pm at the Sennheiser booth at NAMM. [NAMM] The Kush Clariphonic EQ in 500 Format The Kush Audio Clariphonic is being installed at the Winter NAMM Show 2014 in a brand new 500-format version.